In a 4-quart saucepan, sauté the first nine ingredients over medium heat, stirring for 2-3 minutes. Add the wines and vinegars, and simmer for 3-4 minutes before adding the quart of stock. Bring to a slow boil and reduce by half. Salt to taste, strain through a chinois, and keep warm until the entrees are plated. Place all ingredients into a food processor, and puree until smooth. Combine all ingredients in a food processor and pulse a few times until well blended. Breading should be still course and not too fine. Wrap lamb rack bones in foil to protect them from burning. Char-broil lamb racks to a rare temperature on a grill. Allow to rest and cool for 5 minutes, then dust with flour, coat all sides of the lamb chops with the mango chutney paste, and dredge with the Mephisto breading, being sure to again coat all sides. 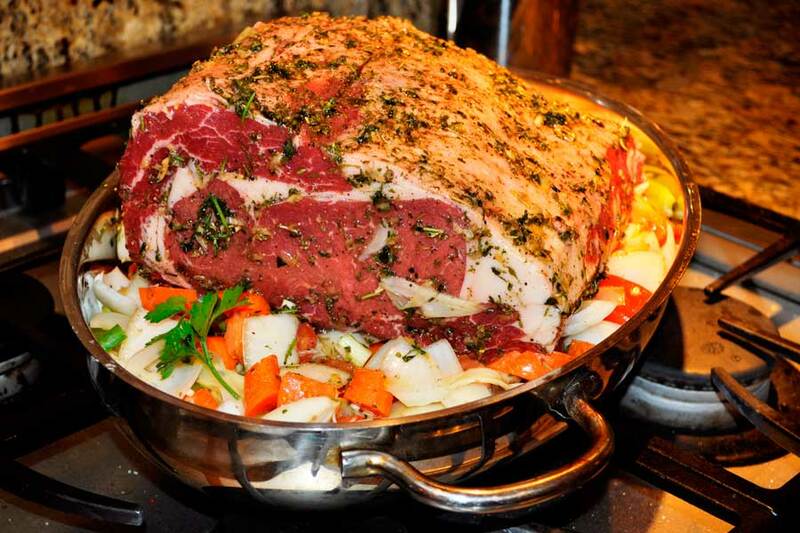 Place in a roasting pan and bake until the crust is a light golden brown and the temperature of the lamb is medium rare to medium, approximately 10 minutes. Plate and serve on top of a few ounces of the piquant sauce.